To most of the Catholic world, today is Fat Tuesday or Shrove Tuesday. Both names are used to designate the day prior to Ash Wednesday, and each has its own unique connotation and reason for celebration. Fat Tuesday, for instance, is celebrated by all Catholics and some Protestants. The name predated the Reformation and recalls the tradition of eating special rich foods before the fasting season of Lent. Shrove Tuesday comes from the Old English word ‘shrive’ meaning to obtain absolution for one’s sins or to repent. It is the preparation that the Church encourages in order to enter into the season of Lent. It connotes a readiness for battle against the world, the flesh, and the devil. It is also appropriate for those individuals, cities, and countries who are more…well, rowdy…during their Mardi Gras celebration. In New Orleans and Brazil, massive lines for Confession after a week of partying are not uncommon. 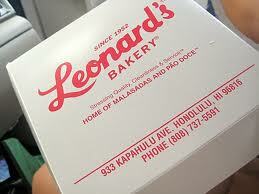 The only place to buy your malasadas in Hawai’i . For the Portuguese who live on the island of Madeira (my peeps), it is traditional to eat malasadas. It is basically the Portuguese version of the doughnut. Krispy Kreme and Dunkin Donuts – HAH! – peasant food to the Portuguese. Large batches of these warm succulent yeast balls, deep-fried in oil – ‘til they are golden brown, and then coated with sugar (Mmmmmmmm!) were made to use up all of the butter and sugar prior to Lent. John Updike‘s novel Rabbit, Run, the main character remembers a Fosnacht Day tradition in which the last person to rise from the table would be teased by the other family members and called a Fosnacht. Even prior to the reform of the Second Vatican Council, there was an ongoing liturgical reform at the turn of the century concerning Lenten observance. For Latin Rite Catholics, the pre-Lenten preparation included the removal of all dairy and rich ingredients such as eggs, milk, and sugar, before the fasting season of the Lenten 40 days. The liturgical fasting emphasized eating plainer food and refraining from food that would give pleasure. In many cultures, this means no meat, dairy, or eggs. Additionally, one could possibly understand the darker and more pagan side of Mardi Gras, with its lesser known tradition of rampant acts of carnal knowledge. Why? The Latin Rite, for a number of centuries, included refraining from marital relations during the Lenten fast. Preparing to begin your Lenten observance. Have a great day and use today as a call to arms. Tomorrow, we go to battle! This entry was posted in Deacon Marques Silva and tagged 40 Days, Catholic culture, Confession, donuts, eating, fastnacht, Fat Tuesday, Hawai'i, Lent, Leonard's Bakery, malasadas, Mardi Gras, Shrove Tuesday, traditions. Bookmark the permalink.